Choosing a broker to trade binary options with is no different to the process that the smart, organized consumer goes through when coming to a decision on any other service provider. Property researching the companies offering the service, the nuances in qualities and characteristics and the company background and reputation is an important process and should not be neglected. Doing so gives the trader the best chance of avoiding a mistake and also choosing a broker they will both feel comfortable with and provides the service and product they are looking for. However, with so many binary options brokers now on the market this is undeniably a time-consuming process. Our review section aims to take at least some of the load off the shoulders of traders researching brokers by summarizing the key information they need across areas such as trading platform specifics, tradable markets, banking, company background and regulatory status. In this review, we cover BDSwiss, a forex, CFDs and binary options broker. Because CYSEC-regulated binary options brokers are restricted from offering bonus schemes to traders this particular category can be considered non-applicable in the case of BDSwiss. The trading platform is a white label version of the SpotOption software, the biggest binary options trading software provider on the market. As might be expected, it’s a very polished product and widely considered among the best binary options trading platforms on the market. Multi-lingual customer support offered via live chat, email and telephone and available 24/7 meets regulatory requirements and is to a very high level. Tradable instruments are available across forex, commodities, indices and equities asset classes. ‘Pairs’ trading also matches up equities, commodities and indices in a similar way to how forex pairs are formed with the trader predicting how one half of the pair will perform compared to the other, adding an innovative additional trading option. Founded in 2012, originally offering forex and CFDs trading, BDSwiss has quickly grown to become one of Europe’s best-known names in retail-facing financial derivatives trading. CYSEC-regulated since 2013, BDSwiss added its binary options product in 2015 and has over 700,000 client accounts trading across forex, CFDs and binary options. Brokerage services are offered across the EU under the regulatory passporting system, with CYSEC the only financial regulator of binary options in Europe. The trading platform is the market leader for binary options traders and provided by SpotOption, a trading software specialist. The desktop version of the platform is browser based and doesn’t require the download of any software. Even inexperienced traders will have no issues in quickly getting to grips with placing and managing trades and while the platform provides a good range of additional functionalities, they don’t lead to clutter or disturb the core trading screens. Six different binary options formats are available to traders as well as charting functionalities, technical indicators and news and analysis feeds. The SpotOption platform also plugs in to the MT4, the industry standard CFDs and forex trading platform, so BDSwiss can offer its full range of derivatives trading products to all clients. 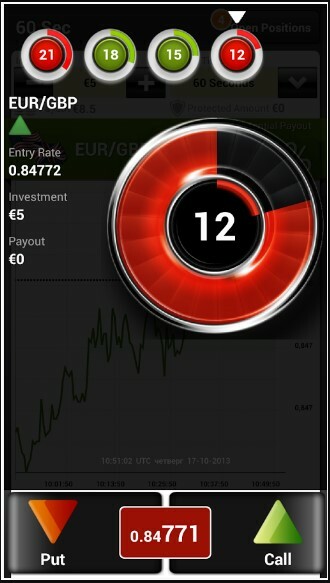 The BDSwiss trading software is also available in the form of mobile apps for Android and iOS devices. These are also SpotOption products and meet the same high standards as the browser-based desktop format. Apps are synced to the desktop platform so any actions taken on mobile or desktop transfer automatically. This means that traders can potentially open a position on their laptop and then monitor or manage it on the move from their smartphone. The browser-based desktop version of the trading platform is also responsive so traders who have smartphone using an alternative operating system to Android or iOS can still use this platform relatively comfortably on a smaller screen. Traders have over 250 different instruments available to them with a strong range of forex pairs and commodities that include soft commodity options such as wheat and soybeans as well as just gold, silver and oil as is often the case. Individual equities and indices options are also strong and have good geographical diversity with options from Europe, the Americas and Asia. The ‘Pairs’ instruments, which link related commodities, equities and indices together like forex pairs adds additional diversity to the mix. Call/Put (Classic) binary options. The option’s expiry will usually be between 30 minutes and the end of the trading day. Traders simply predict whether the instrument the binary option is taken out on will see its price rise or drop from its opening position by the time of its expiry. The OptionBuilder format allows the trader to choose the time the option will expire, rather than selecting from choices offered by the broker. The broker then offers a payout for the broker’s chosen expiry time. If accepted the binary option is taken and then works in the same way as per Call/Put options. 60 Second options have a tiny expiry period of just 1 minute and One Touch Options expire as soon as the instrument the binary option has been taken out on touches the strike price, at any point before the expiry time. Ladder Options have a series of strike prices going up or down. The size of the final payout varies depending on how many price level rungs have been passed by expiry, presuming of course that at least the bottom rung is reached. Pairs match two related instruments, such as gold and silver or BMW and Volkswagen in a similar way to how a forex pair works. The trader must predict which will perform better or worse against the other ie. which of Volkswagen or BMW’s share price will rise more before the end of the trading session. In terms of fees and charges, there are no fees attached to opening an account or trading. However, accounts that are inactive for at least a year are charged 10% of the remaining balance monthly, or a minimum of €5 (or $), as an administration fee. When funds are insufficient to cover this fee, the account is automatically shut down. A €25 (or $) processing fee is also charged on withdrawals of less than €100. Payouts go up to 85% if a binary option finishes in the money, but this can rise to 1000% in the case of particularly ambitious Ladder options if the price manages to get all the way to the final rung. €5 is the minimum investment stake to open a binary option. CySEC-regulation does not permit brokers under its regulatory regime to offer bonuses. Traders can make deposits into a BDSwiss trading account via bank and wire transfer, a good range of e-payment processing companies such as Skrill and Neteller and also by debit and credit card. The base currency of a BDSwiss trading account is generally € though $ accounts are also supported for traders from certain geographies or by special request. Withdrawals can be made via the same payment processing options as deposits, though there are some limitations on withdrawals to credit card, which can’t exceed the deposited amount, which must also have been made from the same card. There is technically no minimum withdrawal amount though practically speaking it can be considered as €100, with a €25 charge applied to withdrawals of less than €100. Customer support is available 24/7 and in several languages, including all major European languages. Traders can contact customer support by telephone, live chat or email. Trading tools and features include SpotWiz, the SpotOption platform’s algo-trading system through which traders can create their own trading strategies using a strategy creator wizard. Traders can also extend the expiry period of a binary option by using the Rollover feature if they are convinced the option will finish in the money given some addition time. Also, if a trader is convinced an open binary option will finish in the money at some point after the option has been placed a Double Up feature allows them to double the investment stake. The TradeOn feature allows a binary option to be placed outside of market opening hours, predicting if the instrument will start the new trading session up or down on the previous, with expiry when markets re-open. And finally, the Sell feature means traders can lock-in a profit or cut a loss by closing out a binary option before its original expiry time. BDSwiss has built up a strong reputation over the past few years across its forex, CFDs and binary options trading products. The broker’s CySEC regulation status is the strictest available in Europe and provides traders with a good level of security in terms of the safety of the funds held in their trading account and generally knowing that BDSwiss operates according to industry best practice standards. A high quality trading platform, strong range of tradable instruments and in-trade management options will be appreciated by BDSwiss clients and are up there with the best conditions available to binary options traders. One of the best choices currently available. 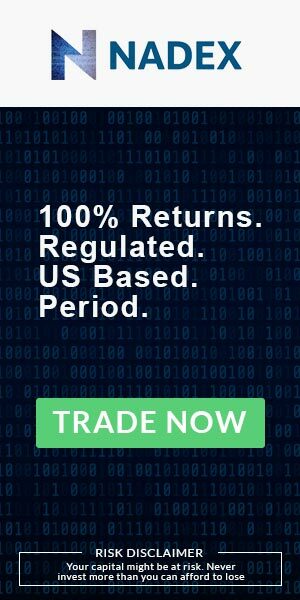 Is BDSwiss a Safe Binary Options Broker? BDSwiss is regulated by CySEC, the strictest regulatory regime for binary options brokers in Europe. Segregated client accounts are by default and prices quoted on instruments monitored. What is the Minimum Investment Stake on BDSwiss? €5 is the minimum investment required to take out a binary option on BDSwiss’ platform. What is BDSwiss’ minimum account deposit? €100 is the minimum deposit. There is no minimum withdrawal level though withdrawals under €100 are charged a €25 processing fee.